31 Jan 2019, 3:12 p.m. The US Federal Reserve announced last night that interest rates would remain between 2.25% and 2.5%, with the Fed preparing for a slower year of economic growth in America. The Fed raised rates four times in 2018 and had forecast a further two in 2019, but not analysts aren’t so confident. In response to the Fed’s announcement the US stock markets all made gains, with the Nasdaq gaining 2.2%, the Dow Jones climbing by 1.8%, and the larger S&P 500 gaining 1.6% share value. Similar gains were made last Friday (Jan 25) when the Dollar fell from a three-week high in preparation for a conservative Federal Reserve statement but stocks experienced a drop in demand amid investor caution earlier this week. 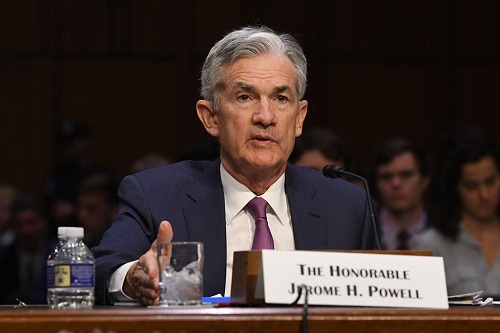 The Fed – and particularly Chairman Powell – have been under pressure from President Trump within the last year. Trump has been unusually vocal about his opposition to the interest rate rises, which have in turn boosted the Dollar’s strength and made US exports more expensive. Normally a president would not pass comment about the independent Federal Reserve, but Trump went so far as to even suggest firing Powell in December – a move that he has no legal power to achieve and one that has upset investors, with concerns over political interference in an independent body. The upside of the strong Dollar has been a surge in foreign investment into the American economy and stock markets, but the forecast for economic slowdowns could see that investment fade away.